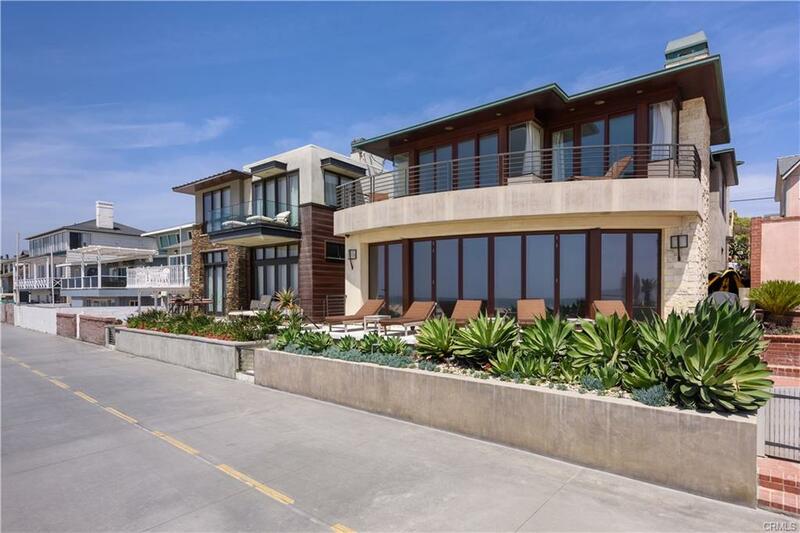 3001 The Strand is a new listing in Hermosa Beach and is trying to do something equally unheard of in the South Bay…..top the $20,000,000 price mark. Listed with Chhabria Real Estate Company the home is priced at $21,000,000. In our opinion we just don’t see how it’s going to sell anywhere near that number but in the highest end of the luxury market it only takes one buyer to really connect with a home. The home offers 6 bedrooms, 6 baths and almost 6,000 square feet. It also offers 37 feet of beach frontage on an almost 4,000 square foot lot. This home has quite the history of high listing prices and spending time on the market. In 2012 when it was new construction it spent a year on the market at $10,999,000 but never sold after a year. In 2013 it sold at $10,000,000 in 2013 and then was put back on the market a month later at $13,900,000 and once again didn’t sell. Somehow in 2016 the owners thought that values had jumped to $22,900,000 but once again it sat on the market. 2018 is here and now the home is priced at $21,000,000 and only time will tell if the market has caught up to the price. It seems extremely unlikely but all it takes is one buyer to think it’s worth it. Welcome to luxury living on one of Hermosa Beaches great streets. This beautiful, freestanding townhome, designed and built by Steve Lazar of South Swell, was inspired by the coastal lifestyle. Located at 1072 and 1074 7th Street in Hermosa Beach, these beautiful ocean view townhomes for sale are listed with Keith Kyle of Vista Sotheby’s International Realty. Featuring an abundance of natural light, beautiful ocean views, and multiple outdoor decks the home takes full advantage of the idyllic location with a focus on indoor/outdoor living. Offering 4 spacious bedrooms, 3 1/2 baths and an open and flexible floorplan enjoying 3000 square feet that allows the owner to customize the interior public spaces to suit their individual tastes. Ground level entry leads into a downstairs sitting area/family room/game room as well as a 1st level bedroom and bath. 2nd level features 2 bright and beautiful bedrooms, laundry and full bath as well as the spacious master suite with private ocean view deck, huge walk in closet, and luxurious bath. The 3rd level is truly a showcase area entirely open with amazing light, fantastic ocean views and a flexible layout. Open and bright, the top floor offers a beautiful living room with hardwood floors, sitting area, dining room and a dream ocean view kitchen with Viking appliances & caeserstone counters. 2 more private patios allow for oceanview dining or relaxing in the cool ocean breeze. Contact listing agent Keith Kyle of Vista Sotheby’s for more information or to schedule a private showing.